This paper examines the potentials and theoretical interpretations of minority filmmaking through the particular case of Kurdish cinema produced in Turkey. Kurdish cinema, categorised as such since the 2000s, is an international cinema that emerges from multiple geographic spaces, although it is concentrated in countries with Kurdish populations, such as Turkey, Iran, Iraq, Syria, Armenia and European countries such as England, Germany, Sweden and Norway. In this paper, I focus on Kurdish filmmaking produced specifically in Turkey and evaluate the dynamics of the emergence of a stateless Kurdish cinema, which produces films that contrast with Turkish national cinema and Turkish national identity. With respect to Hayden White’s formulations on narrative and history and Gilles Deleuze’s theories about minority filmmaking and the time-image, I argue that the concept of time in Kurdish cinema exceeds the time of the narrative and carries an archival potential for the unrepresented history of Kurdish life in Turkey, in this way blurring the line between documentary and fiction or narrative and “history”. In order to explain the backdrop to this argument, I will first articulate the emergence of Kurdish cinema in international arenas and in Turkey. 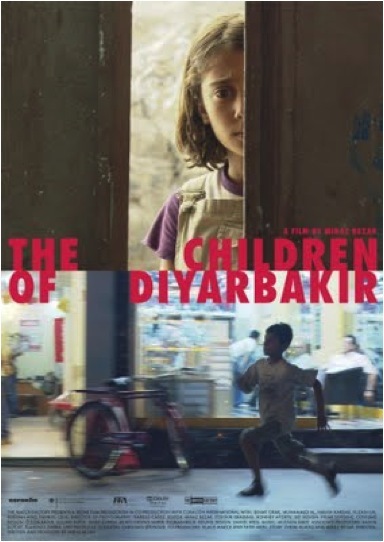 Then, I will analyse two Kurdish feature films made in Turkey: İki Dil Bir Bavul (On the Way to School, 2009) by Özgür Doğan and Orhan Eskiköy and Min Dit (The Children of Diyarbakır, 2009) by Miraz Bezar in terms of how they play with the notions of fiction and documentary, as well as narrative and history. As a woman of Turkish origin born in Turkey, I cannot remember how old I was when I first realised that I had a national identity. It was certainly not early in my life or during my elementary school years. It did not emerge at Turkish national festivals during those times when we were all joyful about something, but we were not perfectly aware that this joy should be about the existence of our republic. It was also not during my high school years when we were all following the principles of Mustafa Kemal Atatürk, due to an education that imprinted a post-coup-d’etat military ideology onto young minds. Actually, it was only after I moved to the metropolis of Istanbul from Kocaeli (a relatively small city that is close to Istanbul), that I realised there were people who had different beliefs to mine. Thus, my idea of national identity was questioned and challenged when I interacted with the diverse identities living in Istanbul, who were not mentioned in the official history classes or the textbooks we were taught during high school or university. Susan Hayward raises similar questions for cinema: “How does one enunciate the ‘national’ of a country’s cinema? When is a cinema national? What does possessing a national identity imply?” (Hayward 1) Answers to these questions are especially crucial in the case of a minority or ethnic cinema, and especially for Kurdish cinema produced in Turkey. Being the largest ethnic community in Turkey, Kurdish people have been able to resist assimilation and have tried to preserve their culture and identity since the establishment of the new Turkish Republic in 1923. It can then be argued that, given their status as an ethnic community that continuously experiences exclusion and deterritorialisation, the national identity of Kurds is always in question because difference is a self-evident reality for them. In “The Rise of Kurdish Cinema”, Devrim Kılıç states that although Kurdish people live in their homeland, their life can be defined as exilic because in their social space they cannot speak their language and live with their own culture. Kılıç notes that “cinematic art, similar to other art forms, is the action of reproducing life in the format of film with image and sound. In this respect, cinema provides an opportunity for Kurdish people … to reproduce and present to the world their own identity and culture” (15) (author’s own translation). Thus, cinema for Kurdish people does not stand for the same thing as it does for Turkish people, or, for instance, for German or American people. Being a group of people without a state, the Kurds can emphasise their existence and identity through cinematic representation. A number of historical, political and cultural circumstances have led to the emergence of Kurdish cinema. These include the visibility of Kurdish directors, like Bahman Ghobadi and Hineer Salem, at international film festivals; the increase in the number of Kurdish people receiving a film education in Europe; and the new digital technologies that bypass or limit the influence of censorship by state apparatuses. However, in the case of Turkey, the assimilation politics of the Turkish nation state were eased during Turkey’s attempts to gain European Union membership, which led to the provision of Kurdish language courses, a state-owned Kurdish TV channel, and, more importantly, the recognition of the Kurdish problem in Turkey. As stated above, for Kurdish people, who are trying to resist assimilation and fight for their basic human rights, including speaking their native language, cinema functions as a means of self-representation and as a way of bringing about political recognition. Devrim Kılıç asserts: “As cinema narrates emotions, ideas, history, in short life itself with image and sound, it is a highly significant tool for Kurdish people who are in a state of liberation” (3) (author’s own translation). He argues that there is a strong relationship between the emancipation attempts of Kurdish people and developments in Kurdish cinema. The rising number of Kurdish-themed films after the 1990s is a reflection of the continuous changes in the status of Kurdish people’s lives. The emergence of Kurdish cinema is directly linked with the rise of the Kurdish Question in international politics. The Kurdish community attracted international attention in terms of its political and cultural status especially after the first Gulf War in 1991. Due to the interventionist politics of the US in countries like Iraq, Iran and Syria, the cause of Kurdish people has become more of an issue in international arenas. As a result of these changes in political circumstances, the Kurdish people have found the opportunity to reflect their lack of social status through cinema. The international success of the Iranian Kurdish director Bahman Ghobadi’s films Zamani Barayé Masti Asbha (The Time of The Drunken Horses, 2000), Gomgashtei Der Aragh (Marooned in Iraq, 2002) and Lakposhtha Parvaz Mikonand (Turtles Can Fly, 2004) ignited the first spark of “Kurdish cinema”. Ghobadi’s representation of the lives of Kurdish people combined with the awards these films received at international film festivals generated a recognition of Kurdish identity in the international film arena. These successful attempts created a significant motivation for Kurdish people, disseminated throughout various countries, to be assembled under the rubric of Kurdish cinema. Thus, Ghobadi’s success is one of the most significant factors behind the international recognition of Kurdish cinema. In Kurdish Cinema: Statelessness, Boundary and Death, Mujde Arslan, a Kurdish director and film critic from Turkey, states that the success of Kurdish directors like Bahman Ghobadi and Hiner Saleem motivated young Kurdish people of different social classes from all over the world to engage in cinema. In the 2000s, Kurdish films were accepted at international film festivals like Cannes and Berlin. As a result, cinema workshops were held in various, newly emerging Kurdish art and cultural centres mainly established in towns with predominantly Kurdish population in Turkey. These workshops organised by Kurdish directors provided an education in the technical aspects of filmmaking for both Kurdish and Turkish people who were interested in filmmaking. Apart from receiving a filmmaking education in these centres, Kurdish students also began to do degrees in Film Studies. Hence, Arslan concludes that for Kurdish people cinema became a method of self-definition and liberation (xi). Furthermore, Hamid Dabaşi states that Kurdish cinema creates a visual topography and in this way it animates the reality of Kurdish people (x). Thus, it can be argued that Kurdish cinema creates a platform to share Kurdish reality with both Kurdish and non-Kurdish audiences. It also motivates the formation of a Kurdish audience, which represents the disseminated Kurdish nation and creates a common language embodying different aspects of Kurdish identity including the different accents, local culture, traditions and lifestyles that merge with each other through Kurdish films. Muhammad Kamal, in his opening speech for the Kurdish Film Festival in Melbourne in 2007, stated that, in order to understand the emergence of Kurdish cinema, we need to consider the films that were produced after the 1980s (28). The first reason for this is that improvements in audio-visual technologies came to Kurdistan only after the 1980s. With the dissemination of video and satellite television technologies, it has become harder for the Turkish state to fully control the film distribution channels and television programmes. The second reason is the increase in the number of young Kurds in exile (mainly in Europe), who are educated, as mentioned above, in art, media and cinema. For instance, in 1989, in the Kurdish region of Iraq, preparations for the first Kurdish language film Mem U Zin (Mem and Zin, Ümit Elçi 1991) began, but the film did not proceed due to the outbreak of the first Gulf War and was finally shot in Turkey in 1991. Mehmet Aktaş explains that while world cinema was celebrating its one hundredth anniversary, Kurdish cinema was just emerging in the early 2000s (28). For Kurdish people, the twentieth century was a difficult time, filled with resistance, prohibition, defeat and sorrow. States like Turkey, Iran, Iraq and Syria tried hard to eradicate the Kurdish language and identity through assimilation politics. Aktaş comments: “that is why the late coming of a national cinema, which is more complex and which has different needs than other modern art forms, should be tolerated” (56) (author’s own translation). Given this adversity, it is understandable that international film festivals are the sites where Kurdish cinema is acknowledged and new Kurdish directors are recognised. Yet, in Turkey, the emergence of Kurdish-themed films is due to more political reasons exemplified in the following paragraphs. As I have stated before, the emergence of Kurdish cinema in Turkey is also related to Turkey’s desire to enter the European Union. Yılmaz Güney’s films were banned in the 1980s, yet they were reintroduced into Turkey in 1992, at the same time as the ban on Kurdish music was lifted. Gwendolin Sasse states that: “The Treaty of Maastricht (1992) entrenched, for the first time in the history of EU, specific provisions on fundamental rights and a vague recognition of the requirement that the Community shall respect ‘national and regional diversity’ within the Member States” (Sasse 1). Colin Williams states that the EU enlargement processes since 2005 motivated an “internal rights regime” that added extra privileges to international law (5). This reinforced a clearer distinction between rights as citizens in a nation state and rights as individuals. “Once such rights are detached from the state we see the beginning of the undermining of the normative basis of the state” (Williams 5). Therefore, when individual rights were implemented (and thus separated from national citizenship), democratic rights for minorities and ethnic communities—including those for minority languages—improved. Yet, although accession into the European Union is a crucial motivation for providing more freedom for “national and regional diversities” (Sasse 1), the reception of Kurdish cinema in Turkey is contested by a Turkish nationalism that has deep roots dating back to the foundation of the new Turkish Republic. The Kemalist regime, out of which the new Turkish Republic was formed, is founded on the principle that all the people living in Turkey are Turks. This principle influenced the emergence of Turkish cinema as well, which was mainly working as a part of the new Turkish nation-state project that was formed in line with the principles of Ataturk. However, with additional freedoms provided by the European Union for national and regional diversities in the late 1990s, the new Turkish Cinema can now deal with subjects like religion and freedom for ethnicities and minorities living in Turkey, which were taboo subjects in the past when filmmakers like Güney had to leave Turkey because of their ideas and artistic works that challenged the ideals of the Turkish nation state. Thus, the new Turkish Cinema in Turkey becomes a site where the unresolved tensions of the past are revealed to a larger audience. However, as far as Kurdish films or films about Kurdish people in cinema produced in Turkey are concerned, there is still a tension present in the reception of films produced in the Kurdish language in Turkey. For instance, when Min Dit received Behlül Dal Special Jury Award at the Antalya International Golden Orange Festival in 2009, it caused quite a controversy during and after the festival because it was the first Kurdish film made entirely in Kurdish language and shot in Turkey. After the premiere of the film, the festival audience blamed the film for being one-sided, while media coverage included headlines like “Min Dit [I Saw] Tension during Festival” (author’s own translation). This highlights how, in spite of the accolades given to Kurdish films produced in Turkey and shot in the Kurdish language, a tension remains in the reception of Kurdish films both as regards Turkish media and audiences. Kurdish cinema produced in Turkey embodies another site where certain unrepresented facts about Turkish history are revealed. The Kurdish people do not have a state or a national archive, and their written history is limited to scholarly books and articles. In the last few years there have been attempts to keep online archives of Kurdish newspapers; but apart from books written on Kurdish history, the early history of Kurdish people living in Turkey can only be traced in the archives of the Turkish Republic. In fact, these archives can misrepresent events that have occurred in the eastern part of Turkey, where Kurdish people originated. From this perspective, I argue that Kurdish films reveal certain “histories” of Kurdish and Turkish people and carry an archival potential that shapes the memories of both Kurdish and non-Kurdish people. Furthermore, Kurdish films also merge with anonymous Kurdish oral culture and become personalised sources of previously unrepresented Kurdish history. The lack of a Kurdish archive has motivated some recent attempts by international scholars and artists working in Kurdish Studies to underscore Kurdish history and culture for both Kurdish and non-Kurdish people. Yet, in Turkey, narratives from the Kurdish, rather than the Turkish, point of view reveal certain histories that were hidden and that challenge Turkish national identity and Turkish politics towards Kurdish people. As Hayden White notes in The Content of the Form: Narrative Discourse and Historical Representation, narratives can be considered as a solution to “the problem of how to translate knowing into telling” (1). Furthermore, he writes that, with narratives, events can be assimilated into structures of meaning that are not culture-specific, but, rather, based on human experience. Hence, understanding a story coming from another culture is easier than fully comprehending specific thought patterns of that culture. He also claims that “narrative is a meta-code, a human universal on the basis of which transcultural messages about the nature of a shared reality can be transmitted” (White 1). Following White’s formulations, Kurdish cinema provides the grounds for turning the Kurdish experience in Turkey into something that can be told. The existence of Kurdish narratives in film brings the histories of Kurdish people to light and questions the realities of Kurdish people’s lives as well as the realities of Turkish national identity. Although today restrictions on Kurdish cinema are not as severe as they were in the 1980s, what White indicates as an “absence of narrative capacity” is crucial for interpreting Kurdish cinema’s historical background, which is dominated by narratives that are influenced by political censorship and exclusion. On this point White states that “The absence of narrative capacity or a refusal of narrative indicate an absence or refusal of meaning itself” (2). From this perspective, he raises a significant question: “What kind of meaning is absent or refused?”(2) This question should be answered, taking into account the political agendas concerning Kurdish people in terms of how they apply to Kurdish cinema and its struggle against this refusal and absence of meaning. In Kurdish cinema debates, the problem of being “subjective” is always employed as a criticism (and an excuse for censorship). However, a recent film titled İki Dil Bir Bavul (On the Way To School, 2009) by Orhan Eskiköy and Özgür Doğan deals with this dilemma between narrative and history from a point of view that exemplifies White’s theories on narrative. On the Way to School is a documentary film about an elementary schoolteacher, who is assigned to teach in a village in Şanlıurfa (a city in the eastern part of Turkey). The directors Eskiköy and Doğan were looking for a real teacher who taught Turkish to Kurdish students. They met Emre Aydın (the teacher who plays the leading part in the film) quite coincidentally while they were interviewing elementary schoolteachers living in Şanlıurfa. He was trying to find the village of Demirci, where he was supposed to teach and which is not shown on the map of Şanlıurfa. The distinction between fiction and documentary was hotly debated in relation to On the Way to School after it was screened in theatres. Although it is a story of a schoolteacher, it is both Emre Aydın’s story and part of his real life. The shooting of this film took nearly one year and Eskiköy and Doğan spent ten days of each month during that time in Demirci village, recording Aydın’s life in Siverek while he taught Turkish to Kurdish students. On the one hand, the film is about the adventure of a schoolteacher, who moves from Izmir to Şanlıurfa, from the most western part of Turkey to the most eastern, and his struggles not only to teach Turkish but also to communicate with students who only know Kurdish. On the other hand, his story on screen is not a staged one. Thus, the time that is recorded is not the time of a fiction. Although there is the self-conscious effect of the existence of the camera and the directors during the shooting, the school life in Siverek is not staged or fictionalised for this film. As the directors contend, the camera recorded the process of teaching Turkish to Aydın’s students, as well as their hardship in learning and understanding Turkish. Many reviewers have found different ways to define the form of this film, such as a documentary mixed with fiction or a fiction having documentary elements. Referring to this point in a review for Documentarist 2009, Necati Sönmez argues that the confusion about this film’s form is mainly to do with the unconventional perception of a documentary film in Turkey; furthermore, the film resists categorisation because it has competed with fiction films in festivals and, more importantly, it won the Best Film award in the International Adana Golden Boll Film Festival (2009) and the Best First Film Award in the International Antalya Golden Orange Film Festival (2009). Sönmez argues that On the Way to School is one hundred percent a documentary film because there is no script, no cast and no staged setting. He notes that this type of documentary is popular in Europe and the United States, but not in Turkey. Further, he argues that documentary has always been a form that is disregarded because, compared to fiction, it is perceived as boring and cannot attract as large an audience as a fiction film can. However, when On the Way To School contradicted these ideas and became an unpredicted success, there was a perception that this film cannot solely be a documentary but should also be classified partly as drama or fiction. Although I agree completely with what Sönmez argues in his review, this confusion between fiction and documentary needs to be articulated in line with my previous references to White’s theory of “absence of meaning”, because in this context there is also a refusal and denial of the documentary form. When On the Way to School was screened in theatres in 2009, the Turkish Government was working on a political package that would bring more freedom to Kurdish people. This package also dealt with the issue of the Kurdish language and the right to be educated through Kurdish. Perfectly fitting with the political agenda, this film aroused much debate in Kurdish politics. However, when political scientists and film critics referred to On the Way To School, they were, as Sönmez argues, always presupposing that it should be characterised by a degree of fiction in its staging. What are the reasons behind the tendency to label this film a fiction film? Is it only through a lack of familiarity with new methods in documentary filmmaking such as documentary being able to utilise elements of fiction but still be classified as documentary? Or can there be a degree of denying the “real” aspects of eastern parts of Turkey? This eastern and Kurdish “real” in Turkey exists to the extent that Emre Aydın feels very lonely and desperate when he continuously fails to communicate with his students in Turkish. As a result of the students’ resistance to learning Turkish and attachment to their culture, as in Demirci village, which is not even locatable on maps, the language spoken everywhere is Kurdish and the students only practice Turkish with their teacher. So, does the tendency to regard this film as fiction have anything to do with the tendency to believe that in the eastern part of Turkey the people can speak both Kurdish and Turkish? Is regarding this non-fiction film as fiction a way of disavowing the Kurdish problem in Turkey? The tendency to label the narrative as fiction reveals an unresolved tension within the Turkish imagination: namely the fear of dealing with the “real”. This kind of fiction labelling also serves the purpose of fictionalising the “real” into a more digestible form. In other words, by categorising the film as a staged story, the audience could overlook self-evident aspects of the Kurdish problem in Turkey. However, considering Hayden White’s argument for narrative as a universal meta-code that transmits a shared reality, the transmission in this context, which is the context of the narrative of an ethnic group in Turkey, does not necessarily stand for a shared reality. Despite being a real life story, On the Way To School creates the conception of a narrative made up by the directors. Consequently, this subjectivity disavows the “real” representation of the Kurdish problem in Turkey. In this context there is certainly a refusal of meaning, but it does not stem from the lack of narrative capacity. In contrast, the meaning is refused because of the narrative capacity of a reality. Narrativising the real story of a schoolteacher reduces the critical conception of the Kurdish language problem itself, and creates grounds for the audience to think that what they watch could only be a fictive narrative. All these issues lead to the conclusion that, in this example of Kurdish cinema, narrative becomes the site where history is both told and negotiated between the blurred line of fiction and non-fiction. In these lines, what Deleuze defines as missing is also what constitutes political cinema in the third world and for minorities. He also suggests that the cinematic art should take on this task of contributing to the invention of people, and, as I argue, to the invention of Kurdish people who live in eastern parts of Turkey and who do not know Turkish. These are the sites to which political art must contribute. What Deleuze defines here is also crucial to understanding Devrim Kılıç’s description of the rise of Kurdish cinema as a way of reproducing Kurdish identity and culture. Deleuze’s theories about minority filmmaking are also beneficial to demystifying the blurred line of fiction and non-fiction I discussed earlier. He states that for the minority author or filmmaker there remains a possibility to take real and non-fictional characters and use these characters in the condition of “‘making-up fiction’, of ‘making legends’, of ‘storytelling’” (Deleuze 222). Yet, he states that storytelling is neither an impersonal nor a personal fiction. Rather storytelling is a collective utterance, a speech-act that cannot be forced into silence. Thus “storytelling is itself a memory, and memory is invention of people” (Deleuze 223). While minority filmmaking indicates the stories of the “missing” people, it becomes memory and this memory invents the missing people. In order to illustrate Deleuze’s formulations on minority filmmaking inventing missing people and memory, I will discuss another award-winning film by Kurdish director Miraz Bezar: Min Dit (The Children of Diyarbakir, 2009). Min Dit is a Kurdish title that means “I Saw”. Set in the 1990s in Diyarbakir, the biggest Kurdish city in the eastern part of Turkey, also known as the capital of the Kurdistan region, brother and sister Fırat (Muhammed Al) and Gülistan (Şenay Orak) try to survive after their father, who is a political journalist, and their mother are killed by the officers of Jitem (an underground secret organisation) while driving back home from a wedding ceremony. Fırat and Gülistan witness the murderer of their parents but cannot reveal what they saw, because the perpetrator, Nuri Kaya (Hakan Karsak), is a police officer. He is never charged or convicted and the murder remains an unsolved crime. The existence of Jitem as a secret organisation was still not officially recognised in the 1990s and the unsolved crimes that were categorised as extrajudicial killings generally coincided with Kurdish people raising their voices against the nationalist discourse of the Turkish Republic. While the film points out the unofficial realities and facts that remained hidden from public recognition, the title of the film, “I Saw”, reveals otherwise. In Min Dit the murderer of an unsolved crime is exposed. At this point, although the film is certainly fiction, it refers to certain historical facts that were not revealed to the public and that were labeled as unresolved/unsolvable. Thus, Min Dit, which is made by a Kurdish filmmaker, indicates the “missing” children of Diyarbakir as well as the “missing” secret organisations and their operatives that leave those children as orphans. I argue, in this case, that minority filmmaking not only indicates “missing” people in Deleuze’s definition, but also uncovers the secret mechanisms of state apparatuses in both the invention of people who are minorities, and the re-invention of the state apparatuses that silence minorities. If Deleuze’s formulation of memory is incorporated into this perspective, the memory that is told through this narrative also makes an intervention in the existing collective consciousness of the past of a nation. Deleuze defines the intervention in the imagination of a seamless national consciousness as another aspect of modern cinema. Drawing upon relations between image and thought, he states that in modern cinema, in which he includes minority filmmaking, the image is no longer sensory-motor. It is this entrapment in the intolerable world that causes a break with the sensory-motor conception of the image. Yet, the sensory-motor break makes man a seer. He no longer constitutes a whole with the world. The world is intolerable and he is entrapped in this world. Thus, Min Dit’s intolerable world represents not only the intolerable world of Kurdish people, but also the intolerable realities of Turkish identity. Hence, Min Dit urges a break between the sensory-motor conception of the moral nation and the individual. It urges one to see that unsolvable crimes can be solved, if only one can see, and what is seen is spoken and revealed. Another important aspect of Min Dit that needs analysis is the role of fairy tales in the film. Gülistan and Fırat’s mother always tells them a children’s tale about a wolf attacking a village. In the tale, the villagers do not kill the wolf but they put a bell around its neck. By doing so, they know when it is coming and when it is going to attack. In the fairy tale, their mother tells them, the enemy is demarcated and, referring to the fairy tale, Gülistan does the same thing. When she finds the murderer of her parents, she does not shoot him but she lets everyone know the secret identity of Nuri Kaya (who is a Jitem officer). So she marks the enemy: she identifies the enemy who is capable of taking more lives like the wolf in her mother’s fairy tale. The fairy tale used in Min Dit should also be considered in relation to Kurdish people’s dependency on their oral culture. Having very limited written culture and archival material, oral culture becomes highly significant for Kurdish people. In an article on Bahman Ghobadi, Devrim Kılıç states that Kurdish people can only express their feelings and thoughts extensively through their folk music (164). Furthermore, music is a way of freeing themselves from the constraints of an endless war and restriction. It is also a way of announcing Kurdish identity. Thus the songs, the veils and the fairy tales constitute a significant part of their culture. In Min Dit, Gülistan and Fırat’s mother records her tales into a cassette so that her children can listen to her voice when she is not at home. After the death of their mother, they keep this cassette, which means that they are able to keep her voice and her tales wherever they go. When they start living with other orphan children in Diyarbakır, all the orphans listen to the same tale told by the anonymous and disembodied voice of the mother before they go to sleep. In addressing not only her children but also all the other orphan children living with them, the mother’s voice loses its origin and becomes a part of oral culture. Not only is the storyline of Min Dit enriched with authentic oral culture, but also, as in many Kurdish films, the film’s drama is heightened by the use of Kurdish folk music on the soundtrack. This use of Kurdish folk songs and tales forms a means of narrativising the oral culture. While the oral culture becomes a significant part of the narrative of the film, extra-diegetic oral culture as a historical entity addresses the present and the past subjectivities of the film. The Kurdish oral culture in question embodies the authentic and mostly traumatic stories of the past. Those stories are created through certain historical incidents and the collective interpretations of those incidents. Therefore, while some of them are mythical or metaphorical, they embody historical interpretations. Furthermore, they are circulated through utterance and sharing. Thus, oral culture has a significant role in creating and shaping the memories of Kurdish people. When the oral-culture tradition is incorporated into the actual narrative of the film, it becomes a narrative within a narrative that refers to the collective consciousness of Kurdish people. The historical reasons why the fairy tales and folk songs were created, their cultural and political history along with the social and, in most cases, traumatic interpretations of those fairy tales and folk songs, merge with the plot of the film. Furthermore, the folk songs and fairy tales reinforce the major dramatic conflict of the film with the social references of oral culture. In the Kurdish context, the use of oral culture in film is, in Deleuzian terms, another form of invention and intervention: the intervention of Kurdish history, memory and identity. These two examples of Kurdish cinema enrich their narratives with the unrepresented history of Kurdish people as well as with Kurdish oral culture. From this point of view, the conception of time in these examples exceeds the time of the narrative and becomes a part of historical time by inscribing the histories of Kurdish people within the films’ formats. Time can then be understood through Deleuze’s notion of the time-image, which is constantly in the process of becoming. Claire Colebrook explains Deleuze’s notion of becoming and the time-image and states that: “The advent of cinema might give us one form of transversal becoming: not a becoming that is grounded in a being and which simply unfolds itself through time, but a becoming that changes with each new encounter. … But this can only be so if we encounter the camera of cinema, not as something we already know, but as something that challenges us” (Colebrook 37). Minority filmmaking in general challenges the consciousness of a nation by pointing out what is missing. It also reflects on the unrepresented histories of an ethnic group, which is also the unrepresented history of the nation with which minorities co-exist. Time in these two examples of Kurdish cinema is not simply fictive time, but a time that is socially historical yet without a record in the archives: it is a narrative time. However, it also indicates the time of an unrepresented national past that is narrativised through cinema, in other words, it is a time that is in the process of becoming. In Deleuzian terms, it is a becoming and it is also invention. The time-image in these films invents the history, the culture and the identity of Kurdish people as well as the unrepresented history of the Turkish nation. In the realm of a seamless national consciousness of the Turkish state’s grand narrative, Kurdish filmmaking indicates the hidden side of the official historical narrative. Cinema serves the purpose of unhinging the safe and comfortable grounds upon which Turkish national identity is based. Yet, struggling against the restrictions and predeterminations about its narratives, Kurdish cinema is in a continuous stage of becoming and it urges identification with its state of “becoming” through its challenging narratives, which embody the archival absence of Kurdish history. 1. C. J. Edmonds defines Kurdistan as the territory inhabited by Kurds, which is divided between Persia, Turkey, Iraq and Syria; in the north it overlaps into Armenia. 2. An example is Tatyana Feodouna, a Russian social scientist who conducted research in various Kurdish villages located in the Middle East and Southern Kurdistan. She has published her findings at the following website: www.kurdishcenter.ru. Susan Meiselas, an American photographer, has also tried to create an on-line archive of Kurdish people through her web site www.akakurdistan.com. 3. As exemplified by Yılmaz Güney’s films made in the 1980s. 4. Including Uğur Vardan, Mesut Yeğen, Onur Baştürk, Yusuf Güven and Burçin S. Yalçın. 5. The film won nine awards including Behlül Dal Special Jury Award 2009, Istanbul Golden Tulip Best Director, Best Actress and Best Soundtrack Award 2010. 7. This is of course valid not only for Kurdish filmmaking but for any national cinema that uses oral culture in its narrative. Aktaş, Mehmet. “Kürt Sineması: Artık Bir Gerçek [Kurdish Cinema: A Reality from Now On]”. Kürt Sineması: Yurtsuzluk, Ölüm ve Sınır. Ed. Arslan, Müjde. Agora Kitaplığı, 2009. Print. Arslan, Müjde. Kürt Sineması: Yurtsuzluk, Ölüm ve Sınır. Agora Kitaplığı, 2009. Print. Benge, A. “Güney, Turkey and the West: An Interview”. Race & Class 26.3 (1985): 31. Print. Colebrook, Claire. Gilles Deleuze. Routledge. 2002. Print. Dabaşi, Hamid. “Önsöz [Foreword]”. Kürt Sineması: Yurtsuzluk, Ölüm ve Sınır. Ed. Arslan, Müjde Agora. Kitaplığı, 2009. Print. Deleuze, Gilles. Cinema 2: The Time Image. 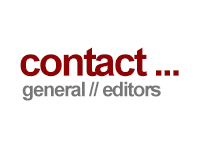 London, New York: Continuum International Publishing Group, 2005. Print. Deleuze, Gilles, and Félix Guattari. Kafka: Toward a Minor literature. U of Minnesota Press, 1986. Print. Hayward, Susan. French National Cinema. 2nd ed. Oxon, New York: Routledge, 2005. Print. Iki Dil Bir Bavul [On the Way to School ] Dir. Özgür Doğan and Orhan Eskiköy. 2009. DVD. Kanal D Home Video, 2010. Kamal, Muhammed. “Kürt Sineması Kültürel Kimlik Arayışında [Kurdish Cinema in Search for Cultural Indentity]”. Kürt Sineması: Yurtsuzluk, Ölüm ve Sınır. Ed. Arslan, Müjde. Agora Kitaplığı, 2009. Print. Kılıç, Devrim. “Kürt Sinemasının Yükselişi” .Kürt sineması: Yurtsuzluk, Ölüm ve Sınır. Ed. Arslan, Müjde. Agora Kitaplığı, 2009. Print. Kılıç, Devrim. “Bahman Ghobadi’nin Filmlerinde Kürt Kimliği ve Kültürünün Temsili” .Kürt Sineması: Yurtsuzluk, Ölüm ve Sınır. Ed. Arslan, Müjde. Agora Kitaplığı, 2009. Print. Min Dit: The Children Of Diyarbakir Dir. Miraz Bezar 2009. Bezar Film, 2010. Pertot, Susanna, Tom Priestly, and Colin H. Williams. Rights, Promotion and Integration Issues for Minority Languages in Europe. New York: Palgrave Macmillan, 2009. Print. Sasse, G. “EU Conditionality and Minority Rights: Translating the Copenhagen Criterion into Policy”. 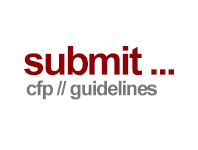 EUI-RSCAS Working Papers (2005): n. pag. Print. White, Hayden. The Content of Form: Narrative Discourse and Historical Representation. Baltimore: The John Hopkins University Press, 1987. Print. Çiçek, Özgür. “The Fictive Archive: Kurdish Filmmaking in Turkey”. Alphaville: Journal of Film and Screen Media 1 (Summer 2011). Web. ISSN: 2009-4078. Özgür Çiçek was born in Istanbul in 1979. She holds a BA degree in English Language and Literature and an MA degree in Film Studies. She is also a PhD student at Binghamton University, in Philosophy, Interpretation and Culture PhD programme. Her PhD dissertation is on Kurdish Cinema produced in Turkey and it draws upon theories on film studies, theories on nation-state, ethnic communities and minorities as well as state politics through Turkish and Kurdish Cinemas.